St Winifred's Church occupies a square of land on the southern side of Manor Road, opposite Stanwyck Drive on the southernmost border of Chigwell with the London Borough of Redbridge. The ancient parish of Chigwell, with the Norman-built St Mary the Less Church at its heart, was divided in the nineteenth century by the creation of the new parishes of St John the Baptist Buckhurst Hill (see below), and All Saints Chigwell Row. 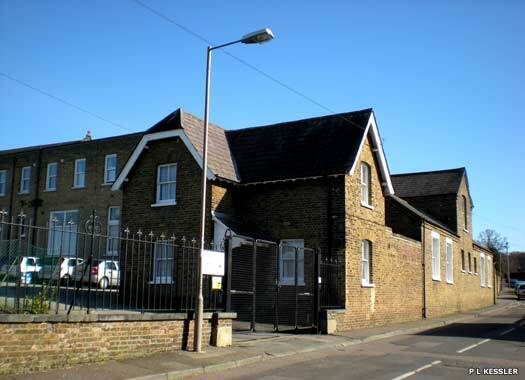 An iron mission room was erected about 1886 at Grange Hill to provide services for local parishioners, some of whom may have found St Mary's too far distant. 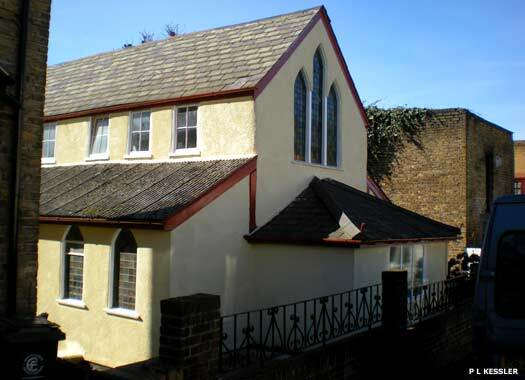 In 1935 the small church of St Winifred was built on the present site, in front of the mission room, as a chapel of ease. It is a small brick building faced with cement and is unpainted, although in 2009 the concrete was visibly flaking in places, especially at the top of the stubby tower. The mission room became a hall. Chigwell Convent of the Sacred Heart is on the northern side of Turpin's Lane, opposite Love Lane. The convent is the home of the international congregation of the Sisters of the Sacred Hearts of Jesus and Mary. The chapel is hidden behind the frontage. On the 1914 Ordnance Survey map, the area the convent occupies today was marked as 'Manor House and an orphanage', meaning Chigwell Hall. It became a convent at some point between then and 1956. Higher Ground United Reformed Church is on the southern side of Smeaton Road, close to St Paul Woodford Bridge. The land was purchased by Ray Lodge Congregational Church and an iron chapel erected. 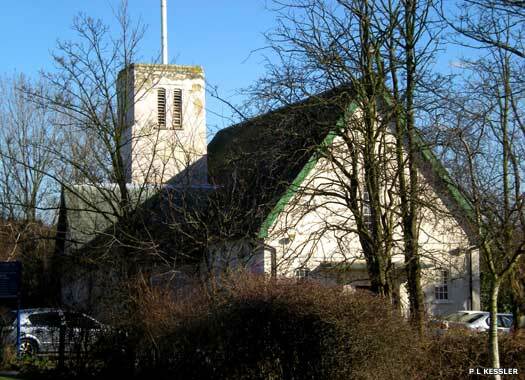 It remained under the care of Woodford Congregational Church when Ray Lodge became independent in 1930. 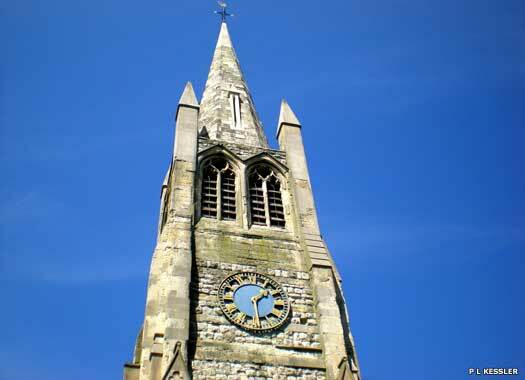 In 1947 it became a branch of Woodford Green United Free Church. 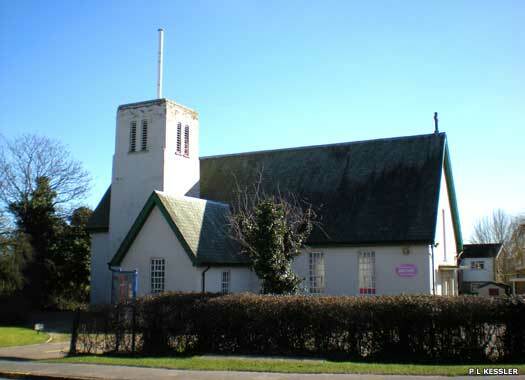 The chapel was damaged in the Second World War and replaced by the present building. St John the Baptist sits well back on the north-west corner of the High Road and Church Road, on the western side of Buckhurst Hill, surrounded by a churchyard and a large number of mature trees. The church, a stone building in the Early English style on the edge of Epping Forest, was built in 1837 as a chapel of ease to St Mary the Less, Chigwell. The following year Buckhurst Hill was constituted a separate ecclesiastical district. The church gained its own parish in 1867. 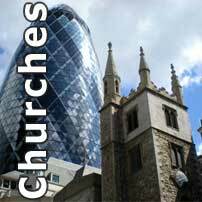 The church originally consisted of nave, chancel, and tower, but several later enlargements also gave it aisles and a north porch. 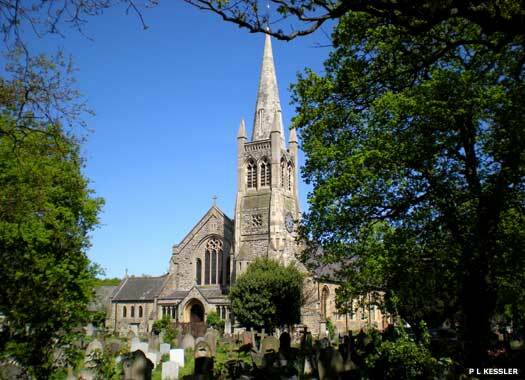 St John's was responsible for opening two mission churches in Buckhurst Hill; St Stephen in 1876, and the Holy Child (later St Elisabeth) in 1936. More recently, the 2009 funeral service for Jade Goody, a regular on early twenty-first century reality television in Britain, was held at the church before a burial service took place at Epping Forest Burial Park.